On November 6, UEDA celebrated its 20th Anniversary at our Annual Community Gathering alongside our valued members and partners. UEDA Executive Director, Kristi Luzar, shared a brief retrospective of the organization, as well as a vision for the future. We honored Bethany Sanchez of the Metropolitan Milwaukee Fair Housing Council as our Extraordinary UEDA Volunteer and the City of Milwaukee as Extraordinary Community Partner for their unwavering support of UEDA's mission and programs. In addition, outgoing Board Members, Barbara Markoff, Todd Clausen, Jan Pierce, Christopher Boston, Greg Lawless, and Mutope Johnson were recognized for their service. Since June we've been working with Milwaukee County Cooperative Extension's Family Living Program and the FDIC to develop a collaborative of nonprofit, private and public sector partners working in the area of financial capability. In October the Financial Equity Group finalized its mission, vision and values, operational structure and prioritized key work areas. As we head into 2018, they'll be focused on Impact Tracking and a Bank On Working Group. A special thanks to the CFE Fund, Forest County Potawatomi Foundation and Greater Milwaukee Foundation for supporting our work in this new initiative. If you're interested in getting engaged, contact us! We've been hard at work planning for UEDA 2018 events! Our annual fundraiser Carnival Milwaukee will be held on Saturday, February 24 and we are currently planning an Emerging Topic Series that will feature new ideas and projects in economic development. Access information on the latest trends and broad promotion of your events and activities. Renewing is easy! Join online, download the form and send to UEDA's office or call us at 414-562-9904 and we can process over the phone. Happy 40th Anniversary to the Metropolitan Milwaukee Fair Housing Council! Their anniversary celebration showcased successes since their launch and reminded us of efforts to ensure fair lending and fair housing are common practice in the Milwaukee area. UEDA Members Independence First, the Greater Milwaukee Association of REALTORS, and Disability Rights Wisconsin for being honored by MMFHC for their own efforts to further fair and accessible housing efforts in Wisconsin. Read about the celebration and other fair housing events that day here. Congratulations to Near West Side Partners director, Keith Stanley, on receiving the Nonprofit Executive of the Year award at the 2017 BizTimes Nonprofit Excellence Awards! On September 28, ACTS Housing celebrated families who have completed their homeownership education and rehab process process at their annual Longest Neighborhood Table event. In early November, Revitalize Milwaukee was joined by 100 volunteers to complete home repairs and beautification work on eight homes in the Miller Valley as part of their Block Build program. Historic King Drive BID was featured in this article on community input sessions on a possible streetcar expansion into the Bronzeville neighborhood, opportunities for growth and concerns about potential gentrification. The Forum has shared plans to merge with the Wisconsin Taxpayers Alliance (WISTAX), resulting in an increased staff capacity, broader research capabilities, and a better ability to engage and inform policy makers and citizens. This Streetsblog article discusses how a recent report from Demos demonstrates that improving access to job centers through transit investments can also reduce racial disparities in employment, including here in Milwaukee. The Milwaukee Business Journal is accepting nominations for its 2018 40 Under 40 awards. The awards recognize individuals under the age of 40 who are making a difference in their professions and communities. MCTS Joblines (routes 6 and 16) has reached record ridership, with an average of 1000 daily riders on the 16 alone, traveling from the City of Milwaukee to jobs Waukesha and Washington Counties. Until the end of the year, every dollar donated to Milwaukee Neighborhood News Service will be doubled, helping them to continue delivering their balanced reporting to the community. Donate today! Review this list of quick-tips that will help set your business apart and help drive sales through the holiday season. The Governors Conference on Minority Business Development helps minority, women and veteran-owned company representatives learn about doing business with state, federal and local agencies as well as corporations. The first day features a FREE Small Business Academy, with workshops on contracting processes and the second day includes one-on-one buyer meetings and networking booths with small businesses, resource providers, government agencies, and lenders. LISC Milwaukee's MANDI Awards recognize excellence in community development. Join them in celebrating the fifteen finalists selected this year! This newsletter is sent to UEDA's network and features links to articles, upcoming events and activities of interest. If you have announcements or suggestions for a future newsletter, contact jessica@uedawi.org. Become a UEDA Member TODAY! 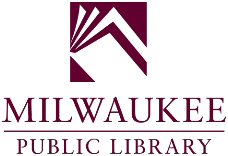 is Wisconsin's largest public library system. MPL hosts a number of classes, events and activities througout the year for individuals of all ages and needs. Individuals interested in exploring a variety of topics along with others can check out their Discovery Lunch sessions, and small business owners can look into their Book a Business Librarian program to get connected to materials that will help you plan for business growth. Center for Veteran's Issues, Inc. Copyright © 2017 Urban Economic Development Association of Wisconsin, All rights reserved.